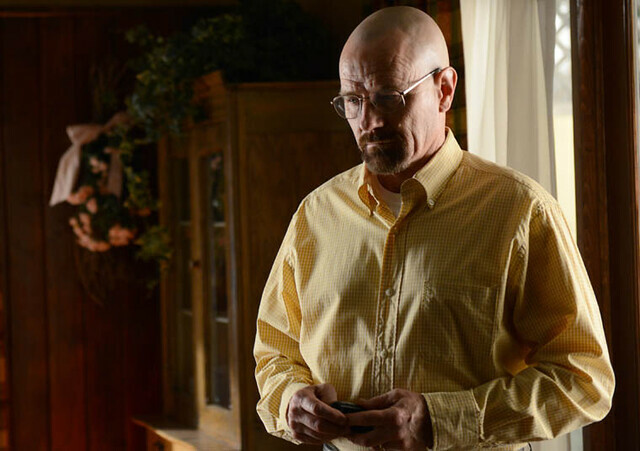 Quick Take: Breaking Bad, "Gliding Over All"
Review: Breaking Bad, "Gliding Over All"
- Styles P, "Leaving The Game"
Inexplicably, Walt concedes her point. Honestly, this shocked me. The Walt I thought I knew would have told Skyler dismissively that the pile of cash would never be big enough. Sure, it might be more than two people can spend in a lifetime, but as big as the money mountain is, it's hardly an empire. Breaking Bad, as we've been hearing for years, is a story about Mr. Chips transforming into Scarface. Except it isn't. Where Walt decides pack it up and leave the game, Tony Montana pushes it to the limit. Where Tony's inevitable destiny is "Say hello to my little friend," Walt appears content with "Make sure Holly has enough sunscreen on." So how did we get here? Why did Walt depart from his destiny to be emperor? Well for one thing, it's exhausting being Heisenberg. Unlike Tony Montana, Walt doesn't have a mountain of yowder to keep him energized. Walt thrives on chaos, causing problems and then fixing them is what he lives for. After the successful elimination of Mike's "legacy costs" and the lucrative new partnership with Lydia (Laura Fraser), things are running to smoothly for Walt. Perhaps Walt wasn't in the empire business after all. Maybe he was in the excitement business; driven less by ego and hubris and more by an addiction to adrenaline. Once all of your enemies are vanquished, the most dangerous of jobs is little more than just that: a job. If Walt wanted nothing more than to punch a clock everyday, we would have remained a public school teacher. Or maybe I'm looking at two sides of the same coin. Perhaps Walt was motivated by both ego and adventure. When his world was filled with adversaries, Walt would always be able to reaffirm his superiority simply by besting them. When everything runs smoothly, there's no one left to measure his brilliance against. Or maybe Walt just is finally taking yes for an answer. Fortunately (or more likely, unfortunately) for Walt, the last eight episodes of the show will feature a worthy foil: Hank (Dean Norris). While it comes as no surprise that Hank is finally onto Walt -- this plot has been inevitable since the show's opening episodes -- I'm a bit concerned with the way the writers decided to introduce this particular story line. I love tie-backs, which reward long-time viewers for their attention. But I'm not convinced the book of poetry's return was entirely earned. We hadn't seen or heard anything about Walt Whitman in ages, causing the book's sudden reappearance to feel a bit out of the blue. Regardless, here we are. We're in the home stretch. I can't wait to find out how the show goes from Hank on the bowl to Walt getting free breakfast at Denny's. 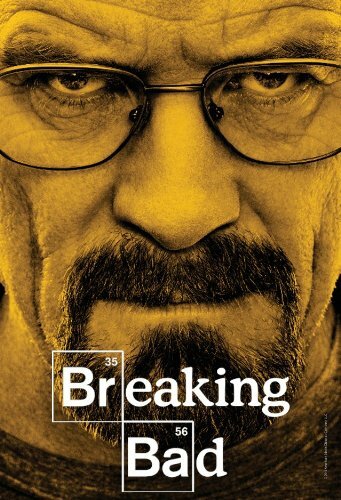 Breaking Bad as always did not disappoint! My partial counter to your point about Walt's decision to be "out." Who's to say that this was a true "out" -- that after a period of relative calm, ole Walt wouldn't be up to some new tricks. The thirst for criminal power and all that. Also: love your description of the dance floor-sized pile of cash, sweet ! The poetry book appeared in at least one scene earlier in the episode, when Walt took a shower. And we saw Walt unpacking it earlier in the season, when he moved back home. "We hadn't seen or heard anything about Walt Whitman in ages, causing the book's sudden reappearance to feel a bit out of the blue." Honestly, I thought this was exactly what made this work. He's not being tripped up by some collosal mistake, or biting off more than he can chew, or being betrayed by someone close that he pissed off. This is something that Walt and the audience alike had forgotten. I think the whole idea was that it can be anything, it doesn't have to be spectacular to have serious consequences.